Divided Baltimore: How Did We Get Here, Where Do We Go? The University of Baltimore is doing a course that is open to students, faculty, and the entire community to understand the issues that Baltimore faces. Called Divided Baltimore, the course addresses issues of race, housing, healthcare, education, and criminal justice. Each week a panel speaks to the class and they engage in an open dialogue about the problems that the city faces. You can read and hear more about it here. I spoke in this class on October 5th, 2015 on desegregation in schools. Where do the children go after schools close? Just returning from a conference in Boston, URBAN (Urban Research-Based Action Network). There, we talked as scholars and activists from all over the country about schools closing. They close under plans that are supposed to make the closings sound benign like Renaissance, 21st century, or Millennial. However, this is anything but benign. Closing schools hurts communities and shifts students and families to new schools. We know that they do not fare well. A Chicago study showed that the students do not attend better schools and fall behind academically. A second study that looked across six cities showed that closing schools does not end up saving much money and does not produce better outcomes for kids. Coming soon will be a research project that follows the students in Baltimore into their new schools to find out not only what the academic outcomes are but what the social implications are as well. My new book is out The new reality for suburban schools: How suburban schools are struggling with low income students and students of color (Peter Lang, 2015). It showcases three case studies of suburban middle schools whose demographics have changed over the last 15 years. These are schools that have largely white staffs that are unfamiliar with and have negative views of students of color, especially poor students. Given the larger context, of racism that built these suburban communities (i.e. The GI Bill, segregated housing policies, and white flight), there are larger challenges to improving this situation. However, I suggest ways that the schools can do better if they examine their own biases and start to listen to their students. A student asks: Is funding schools through property taxes the best way to do things? After reading about the problems that the Chester-Upland school district, which just outside of Philadelphia, is facing, one of my urban education students said, “It is pretty obvious that the property tax-based formula is not working, so a new plan needs to be set up with the state’s aid.” How did she come to that conclusion? In my course, one thing that the students learn in how schools are funded. All school districts are funded by a combination of property taxes as well as state and federal funds. The balance of that depends on the district. In a place like Chester-Upland, an old industrial city, the schools have reflected a larger demographic change resulting from loss of jobs as well as white flight. Now, Chester-Upland is 90% black, poor, and segregated. In 2015, the district is not only in the red, but has not been able to make payroll or pay its vendors this year because it does not have the tax revenue to do so. It is no accident. The state has shrunk its contributions to the district’s budget while the tax base has also declined. With the median household income at below $30,000, half of the state average household income. How could a school system survive like that? My student was right to inquire about the funding system premised on the notion that income will remain steady or increasing. In reality, income streams do not work that way, especially in many urban and inner ring suburban areas where a history of segregated housing policies, white flight, and disinvestment has drained the local coffers. They had learned about the impact those forces have had on Baltimore, so I urged her to dig a little deeper to ask why Pennsylvania has kept antiquated funding systems in place. She needed to ask who benefits from such systems to find the answer. 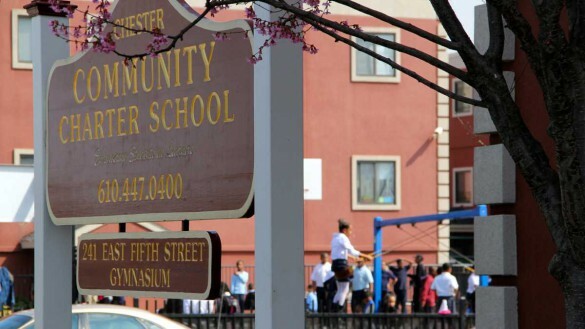 Recently, the state decided to help cover expenses in Chester-Upland so that they can make it through the beginning of the school year, and charter schools have decided to not charge the district its full fees, but this is not a permanent solution. The state and the district have thought of this, and have looked to privatization as a solution. Outsourcing the schools, they believe, will relieve the financial burden of the schools, while providing a better quality education. Looking at nearby Philadelphia and other cities shows that this may not work. Philadelphia has turned to privatization and still has the financial troubles that it had before, meanwhile not all charters are performing well. The alternative would be to think about solutions that reinvent the district itself including redrawing district lines so that the tax base is broadened or to stop funding the schools through property taxes and divide finding more evenly among districts through the state. In both scenarios, the public still holds responsibility for all schools, which is what public education is about, right? 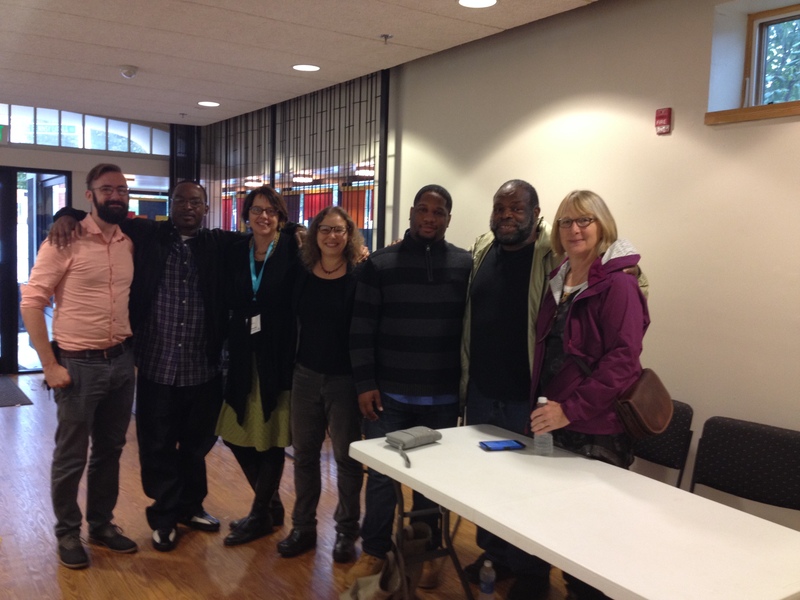 These are the folks I was with yesterday talking about schools in Baltimore at the Imagining America conference. This year the conference was held in Baltimore, and our panel, featuring Dayvon Love from Leaders of a Beautiful Struggle, Helen Atkinson from the Teachers Democracy Project, and George Mitchell from the Park Heights neighborhood association and Langston Hughes Elementary School. Our conversation was about the ways in which decisions were made to keep certain schools open and to close others in Baltimore. Twenty-six schools were slated for closure under something called the 21st century plan which is a plan to renovate some schools in Baltimore. The agreement, which was made with the state legislature, provided funds for school reconstruction if the district agreed to “right size” itself, which meant school closures. Even though school closure has a negative impact on communities, the city agreed– the positives outweighed the negatives for them. Hearing the story of Langston Hughes Elementary school’s closure, however, sheds light on the plan for closure. 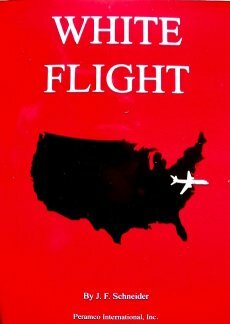 As George Mitchell reported, the plan for closure was riddled with problems. The school was small, but served Park Heights, a low income black neighborhood, well. It was higher performing than other schools in the area and had a thriving after school program for children. The school was also in a renovated building which had technology, air-conditioning, and a facility that would rival any school serving a more affluent community. So why close the school? Charter operators had their sights on the location for one of their schools. Mitchell started getting calls two years ago and continues to get calls about turning over the school to private operators. He and others have tried to fight the closing, but once the city announced the list of school closures, parents began to pull their children out of the school, causing it to have declining enrollment and weakening their case to keep the school open. Many people started to see the closing as inevitable and even elected officials withdrew support from the school. Children who attended Langston Hughes are now going a mile down the road to Pimlico Elementary, a school built in 1910 without the air conditioning, technology, and modern facilities. They have a bus to transport them there, but the research tells us that the children will face other problems integrating into the new school. Anecdotal reports have confirmed that the children are not fitting in at the school and struggling academically. Some parents have pulled their children out of that school as a result. What does this mean for Baltimore? For urban schools? The Langston Hughes story is one which tells us that the improvement of urban schools is not always about looking at genuine successes and building upon them, but deal-making. The closure of Langston Hughes was agreed upon by city and state officials long ago. The success of the school and the broad support that it had in the community meant very little to those folks. Their plans were made. However, this does not mean that all is lost in Baltimore or in urban schools, it means that the resistance to these plans needs to be more forceful. Plans to close Dyett High School in Chicago were finally abandoned because of a group of supported that launched a hunger strike for that school. They built a broad coalition, got a lot of media attention, and forced the city to compromise. Those will be the kinds of actions that teachers, parents, students, and community members will need to take in order to resist plans for urban school improvement that are guided by interests outside of low income communities of color. In the sea of education reform proposals out there– charter schools, teacher evaluation, new curriculum– there is a very simple idea that not enough schools have tried, hiring teachers who care about kids. Caring have have a profound impact on the academic achievement of students, but it cannot be just aesthetic care. Aesthetic care is a superficial kind of caring in which teachers care about attendance of students or good grades. They must show a genuine, authentic form of care. When teachers get to know about students’ lives outside of the classroom, about their families and communities; when students know more about their teachers than the fact that they teach math, authentic care can emerge. You can read more about authentic care and the impact on students in my article on caring, which can be found here. These are our Children! Caring and relationships are especially important in urban schools right now. A recent report showed that teachers of color are leaving urban schools at high rates. While teachers of color are not inherently more caring than their white counterparts, strong relationships can develop when there is a cultural match between students of color and their teachers. If teachers who are likely to care about students of color are exiting the school system, educators, policy makers, and district leaders need to take this problem very seriously. Kids today don’t care about anything, they are not involved. You have heard that before from adults. They lament, the complain. 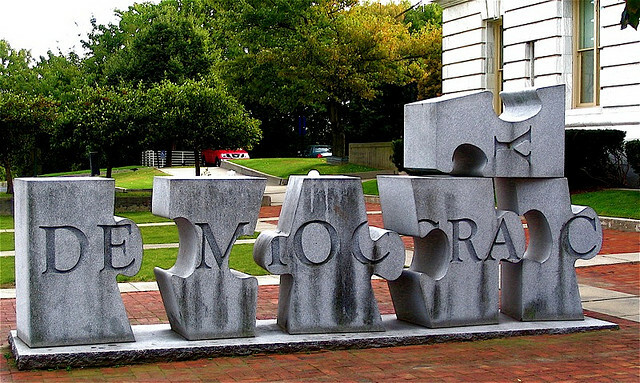 How do we get kids to participate in civic life? To care about issues outside of themselves. Adults usually have these views because they do not spend much time around young people. Moreover, they define involvement and civic participation narrowly, as voting or membership in particular organizations. This discounts all of the ways that young people are involved in civic life and making change in their communities.